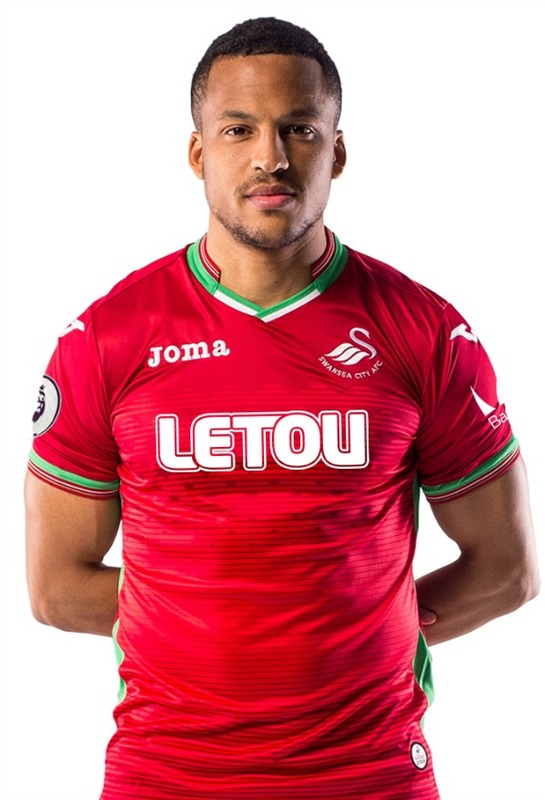 These are the new Swansea City kits 2017/18, Swansea’s new home and away tops for the upcoming Premier League season. 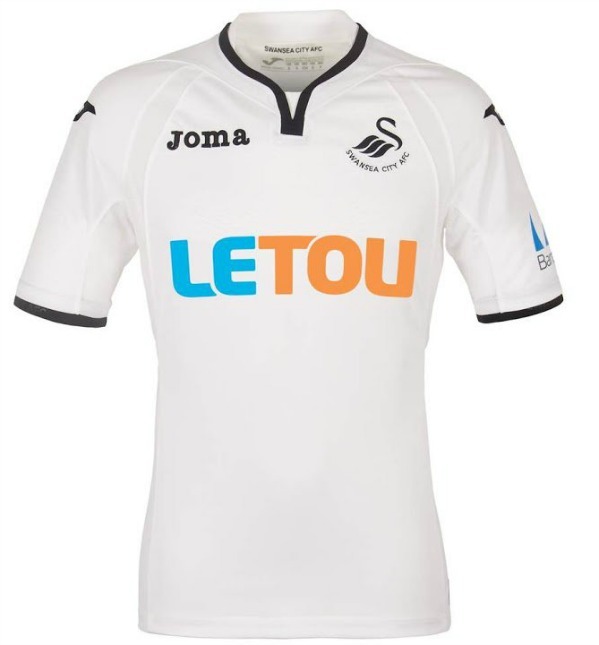 Made by Joma, the new Swansea shirts were officially unveiled on 19 June, 2017. The club have two different sponsors this season, with Asia focused gaming firm LeTou replacing Beteast on the front of the jersey and American IT company Barracuda Networks coming on board to become the club’s first ever sleeve sponsor. LeTou’s official account had a single follower on Twitter when the news of the Swans sponsorship broke (currently, it is close to 200). 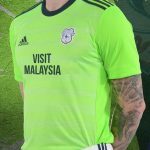 The Premier League are allowing sleeve sponsorships beginning the 17/18 season, and the Swans join the likes of Man City, Watford and Stoke in the list of clubs to have revealed their official sleeve sponsors. 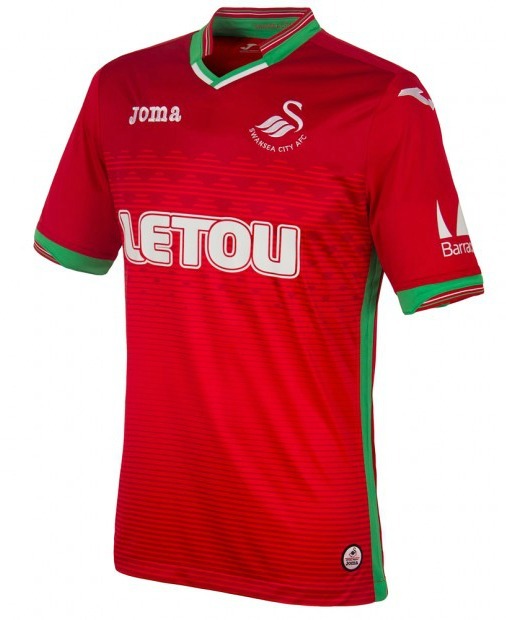 The home shirt remains white with a black collar, while the red and green away top pays homage to the country of Wales. 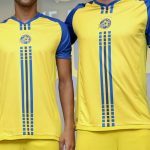 This entry was posted in English Premier League and tagged Joma on June 19, 2017 by Football Kit News. Lovely kits. Not usually keen on Joma products, but these look decent. These kits are great. Pity about the sponsor. The brightly coloured sponsor logo spoils it a bit, but these are otherwise very nice. 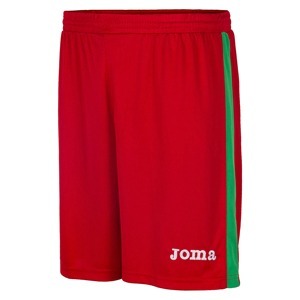 I’m pleasantly surprised that Joma haven’t put one of their distracting patterns on the home kit.